Under the LTA Code of Practice Traffic Control at Workzone Edition 2018 requirements, only trained and competent personnel shall involve in traffic related work activities. This Basic Traffic Control Course (BTCC) is designed for workers who are assigned to work on public roads, they will be trained on how to perform effective traffic control and how to protect themselves from harm when performing work on the road. Our team at Advance Safe has been offering BTCC training courses since 2009 and have worked with countless workers and learners In Singapore. 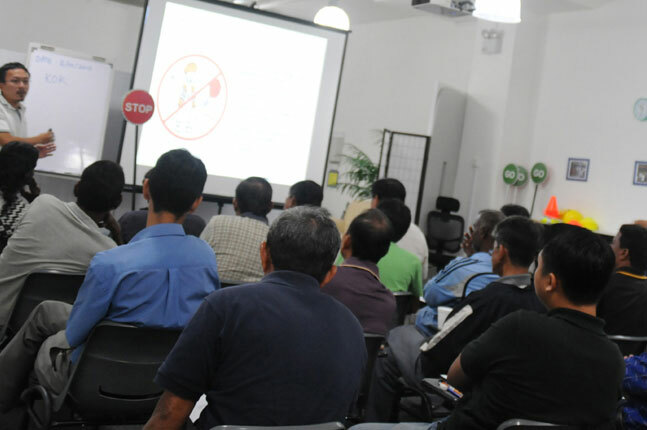 As one of the leading training centre in traffic control safety, the course curriculum in BTCC has been enhanced from October 2016 in order to ensure all workers in Singapore are trained not only with knowledge, but with the effective skills to ensure they are prepared and able to protect themselves and public road users in this ever changing road environment. Our BTCC training courses impart our knowledge and skills in traffic control management at the workplace for safer and smoother flows of traffic. Many roadwork related and constructions companies have sent their workers to us improve their skills and their competency in traffic control. Please remember to REFRESH your internet brower to view the latest available course dates. For quotations and enquiries about our BTCC and workplace management courses, please contact us.